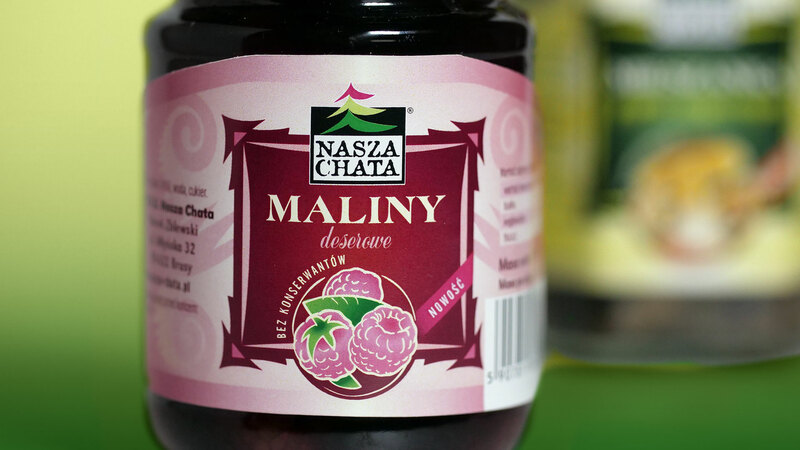 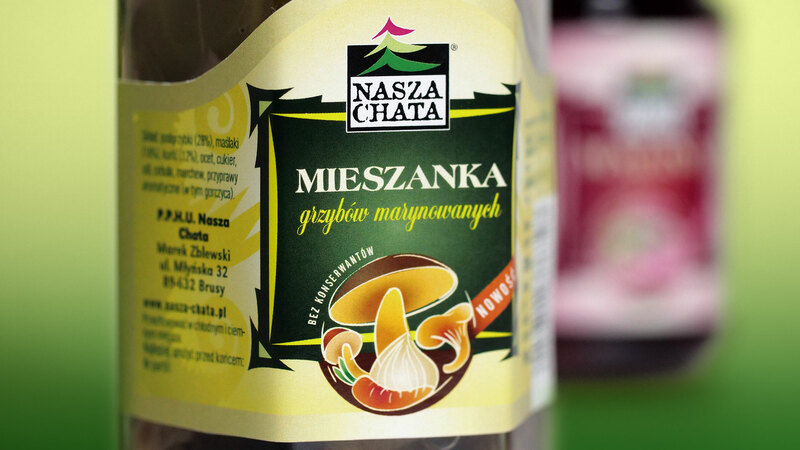 Nasza Chata (Our hut) is offering bio-premium products from wild forests – variety of pickled wild mushrooms and forest fruits. 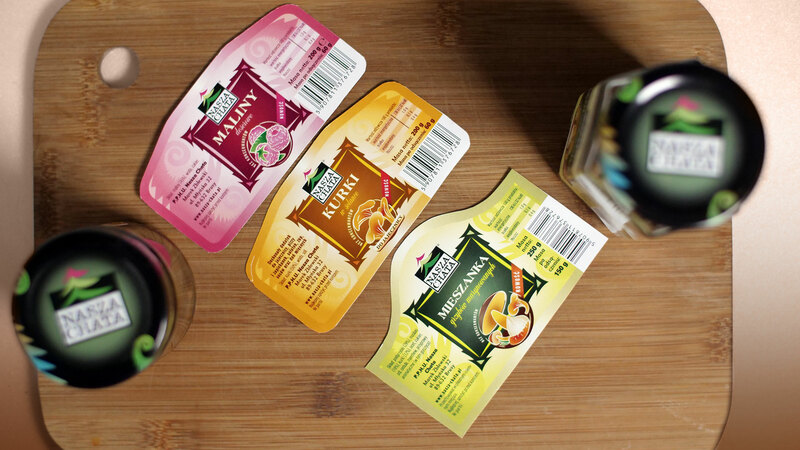 I created whole series of labels as new visual communication. 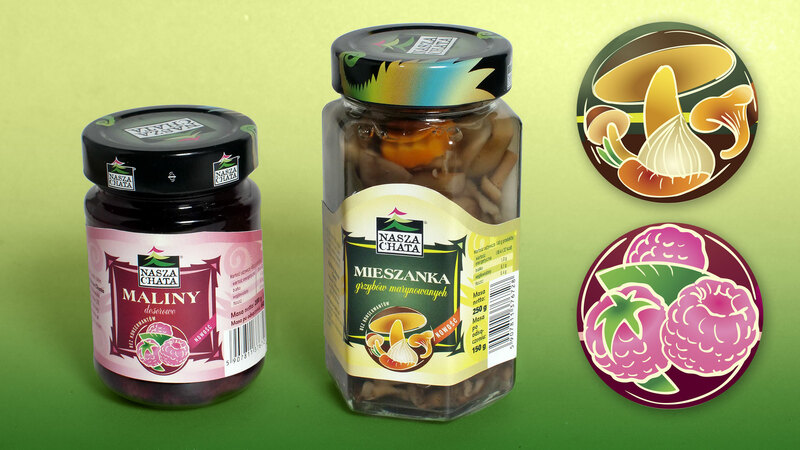 I drew new tasty and attractive illustrations to emphasise natural origin of ingredients on packaging front. 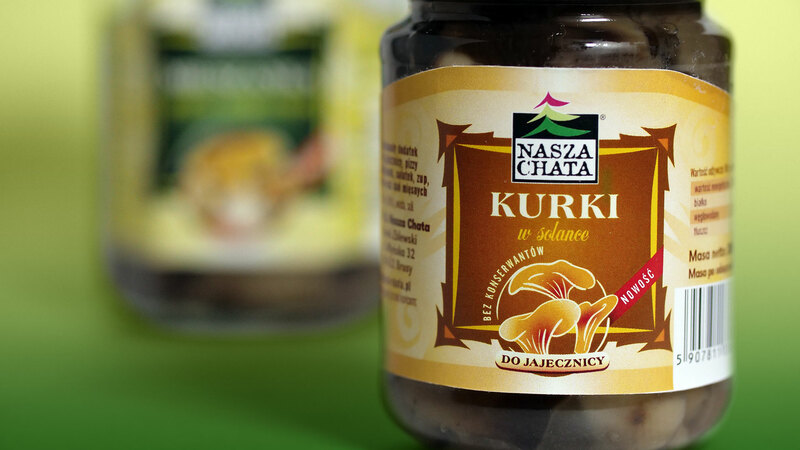 Also font was renewed.